Millions of dollars can go into designing the latest private jet interiors. Imagine silk handmade carpets, “penthouse in the sky” designs and high-gloss veneers. The latest projects are the finest examples of what is possible. In the end, the 12-passenger interior featured custom sewn gray leather seats with black French stitching, gray composite oak veneer with black carbon fiber inserts on all tabletops and cup holders. It also was redesigned with a custom wool and silk handmade carpet. The main cabin space area has a circular dining table, circular bar area, spacious lounge, and fully appointed master suite and bathroom. All of the styles and textures are contingent on the client’s unique taste. Dark high-gloss veneers, golden onyx, Qing upholstery and leatherwork, satin almond gold fixtures, and Loro Piana cashmere were just some of the options. Winch told Forbes that they offer personalized decoration and accessories, while maintaining a consistent interior architecture in a Boeing Business Jet or Airbus Corporate Jet configuration. Mercedes-Benz may be one of the top names in the luxury automobile industry. 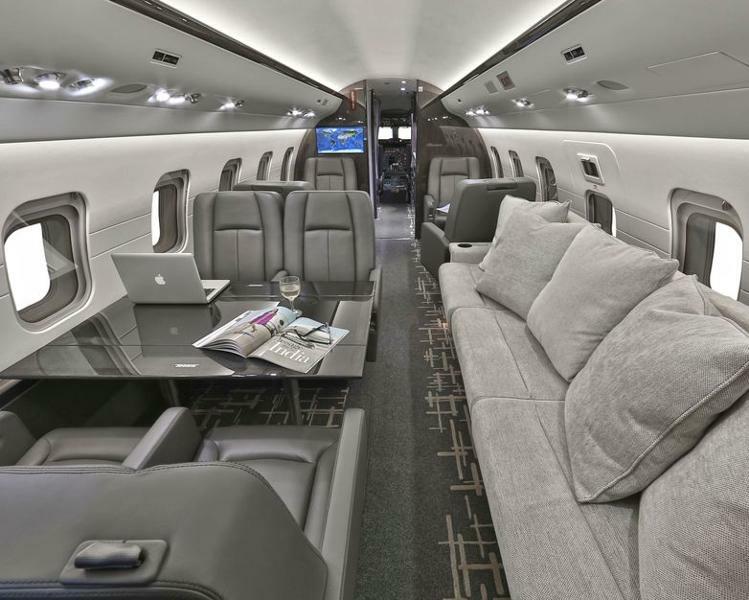 Now, private jet interiors are part of their portfolio. 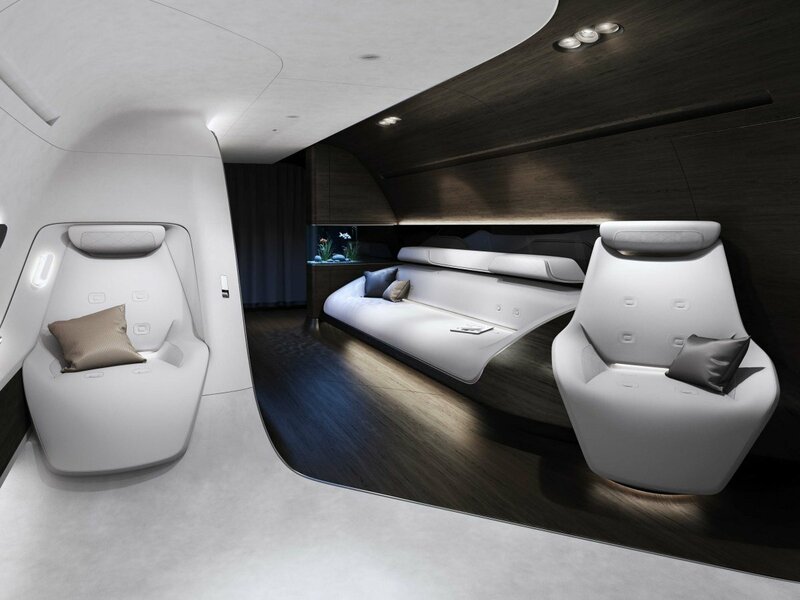 In a recent article in Business Insider, the German automaker has teamed up with Lufthansa Technik, the aviation engineer arm of the Lufthansa Group, to design posh cabin interiors for private jets. The partnership was announced at the 2015 European Business Aviation Convention and Exhibition (EBACE) in Geneva. Aviation companies from across the world, including ABI, attended the conference. 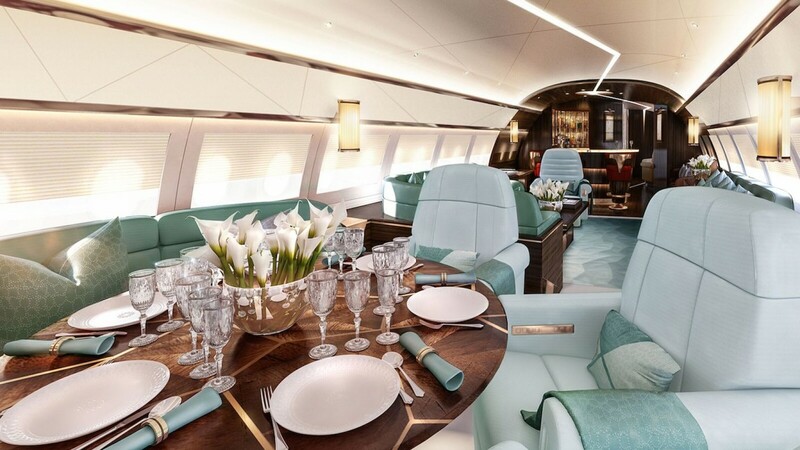 The design concept revealed at EBACE showed the interior of the private jet resembling the luxurious look and feel of a Mercedes-Benz S-Class sedan. Aircraft owners are readily investing in the right company to take their new private jet interior projects to a new level. What would your dream private jet interior look like?